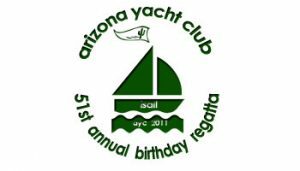 Registration for AYC Birthday Regatta Still Open! You can’t pre-order shirts anymore but we will have a VERY LIMITED quantity available on site. Get there early as I’m sure the stock will go quickly – first come first served! Also, if you just need to order dinner or breakfast, you can still do so. Just go to the REGISTRATION PAGE and un-check the race entry and select only what you need. Also, just because your fleet isn’t “Officially” racing on Friday, don’t let that stop you from coming out and getting some practice in! We’ll be making fleets that morning and we’ll post the finishes so come out, have some fun and GO RACE! LAST DAY to Register and Get the Shirt!